← Pancake breakfast a success! U.S. Customs and Border Protection has issued nationwide custody standards governing how immigrants are treated when in U.S. Border Patrol custody. The new rules are announced a little more than a year after the Border Patrol’s jails were overwhelmed by Central American children flooding into the U.S., creating a humanitarian crisis at the border. NPR’s John Burnett reported on the chaos last June. At the time, more than 50,000 unaccompanied migrant kids had been detained in eight months. “The central bus station in McAllen, Texas, is full of migrants waiting for transportation north to unite with their families. Often they’re young mothers like Osiris Sandoval, who is from Honduras and traveling with a rambunctious 2-year-old. “An hour before, the Border Patrol finished processing Sandoval and dropped her and her child off at the bus terminal. She says agents kept 50 to 60 people in a single holding room for four days. She said it was so crowded they stood most of the time, with their children in their arms. She says there was scarcely room to sit or sleep. 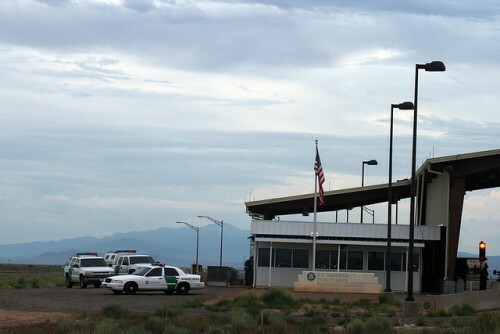 “Border Patrol stations are not set up to handle so many detainees, says Chris Cabrera, vice president of the local chapter of the National Border Patrol Council, the agents’ union. “The station doesn’t have showers, a recreation area or proper bedding. The intention is to process the detainees as quickly as possible and then move the children to shelters that are being opened around the country. From there, caseworkers find family members who will take care of the children until they appear in immigration court. This entry was posted in KRTS News and tagged Border Patrol, Border Policy, Border Security, Family Detention Centers, Immigration, NPR, U.S. Customs and Border Protection. Bookmark the permalink.